If you had to go in for heart surgery you certainly wouldn’t want just anyone doing it, you would want a fully qualified cardiac surgeon, you should want exactly the same for your trees. Employing a qualified tree surgeon will ensure that your trees are treated with the respect that they deserve and receive the correct level of treatment. Tree surgeons don’t just cut trees down. The problem with your tree may require some pesticides, some cavities filling in, a few branches trimming or any number of other things. It will be much cheaper in the long run if the job is done right the first time. Do They Have All The Necessary Tools And Equipment? When the arborist comes out to tackle the job, they should have all of the necessary tools – and be licensed to use them. A lot of tree surgeons are only certified with a chainsaw, so if you see them using something else, check that they have the correct insurance to cover it. This way, if in the process of using it they damage themselves, your tree, your property, or your neighbour’s property, they are the ones responsible for the damages and not you. Does Your Tree Need Removing? You have to decide if you want to save your tree or have it removed. If when the arborist examines it he finds that it is sick and cannot be saved, he may recommend having it removed, provided that you are allowed to. There are some trees that are protected by law and you need to get permission in order to have them removed. Your tree surgeon will know the regulations and will be able to help you with this but it is a step that you need to consider so that you don’t incur any fees. Getting a number of estimates can ensure that you not only find the right tree surgeon for a price that you can afford, but you will also be able to compare the depth of knowledge of the companies as they assess your tree. You will find that there can be hundreds of pounds difference between the estimates of the various tree surgery companies in your area. Have at least three or four come out to assess your tree and to give you a written estimate. Once you have them all compare them to see if they all offer the same level of service first. 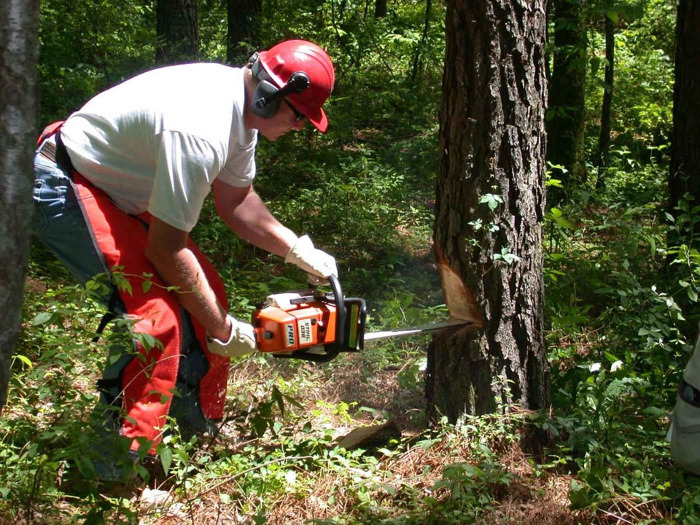 Don’t assume that the company will remove your felled tree and clean up the debris at the end of the job, if it isn’t written on the estimate then you need to ask them about it, otherwise, you could end up with an unexpected big bill. Finally, ensure that the tree surgery company you employ have some sort of guarantee. If they are not removing your trees then you don’t want to spend a fortune on your trees only for them to die anyway. A good arborist will be able to tell you what they are doing and whether they think it will work or not, they will also stand by their work, so make sure you get some sort of guarantee before any form of procedure is performed on your tree.